Hello friends! Ok, ok, i know i’m often late on the Saturday deadline. But this weeks comic has a lot of figures and I’m just learning how to ink digitally using Krita. Here’s a little teaser tho! I’m considering posting a ‘throw away’ comic for this week just to have one to look at. 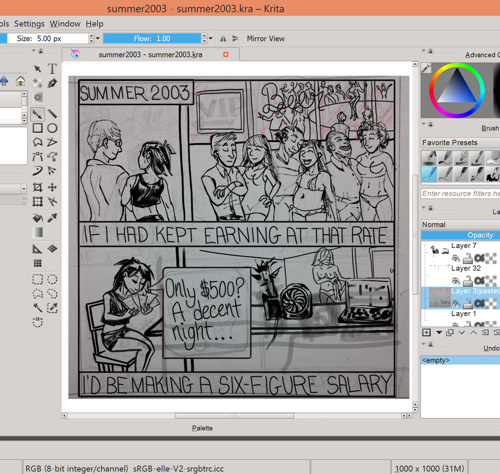 This entry was tagged comics update, krita, sneak peek. Bookmark the permalink.